John Bamford, PhD, has worked tirelessly in the United Kingdom to upgrade professional audiological services through education and training. Among John's greatest contributions is his work with Adrian Davis, to develop a national program for infant hearing screening, and extensive follow-up diagnostic and family-centered services. As the chair and Ellis Llwyd professor of audiology and deaf education, he has helped to elevate the University of Manchester program in audiology one of the best known and most prestigious in the world. It is now considered the leading provider of vocational training and education in audiology, speech language therapy, and deaf education in the U.K. In fact, the National Student Survey, an annual evaluation of all university degrees in the U.K., ranked the audiology and speech and language programs at 91 percent. Between 2001 and 2005, John worked closely with the Medical Research Council in England to carry out a series of multi-center studies, which ultimately led to the development and implementation of a comprehensive, evidenced based national infant program. The program has served as the model for many jurisdictions throughout the world. Along with his policy development, John has been an innovator in clinical care. He introduced visual reinforcement audiometry into clinical practice, while the rest of the U.K. was still using the Ewing distraction test. John has been an active member of the professional community and, in particular, the British Society of Audiology (BSA), and the British Academy of Audiology (BAA). He was editor-in-chief of the British Journal of Audiology when it merged with Scandinavian Audiology and Audiology to become the International Journal of Audiology. 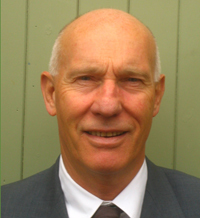 John has been awarded life membership in both the BSA and BAA, and has received numerous awards, including the TS Littler Prize, the most prestigious award of the BSA. There is a "Bamford Lecture" at the annual conference of the BAA. John is currently chair of the National Audiology Review Committee for the Republic of Ireland. Furthermore, his advice on audiological matters is often sought in New Zealand, Australia, and Canada. He has also been active in the Royal National Institute of the Deaf, National Deaf Children's Society, and Defeating Deafness—UK. He is on the advisory board of Hear The World Foundation. He has been co-chair of four of the Phonak "Sound Foundations" Conferences, and has successfully edited their proceedings. John has a highly respected ciricullum vitae, which includes over 60 studies published in peer reviewed journals that have focused on epidemiology, screening, identification, and intervention for children with hearing impairment. John Bamford has a lifetime of contribution to audiology, as well as a world-wide reputation. He is truly deserving of the International Award of the American Academy of Audiology.